Best GPS Watch Reviews – Save 12% + Free Delivery Now! 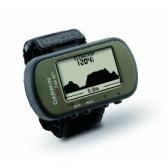 The Garmin 401 Hiking GPS is truly at the top of its range. It gives you the option of connecting it to your computer through a USB port. You can also save the route including way points to your computer using the same facility for future reference.